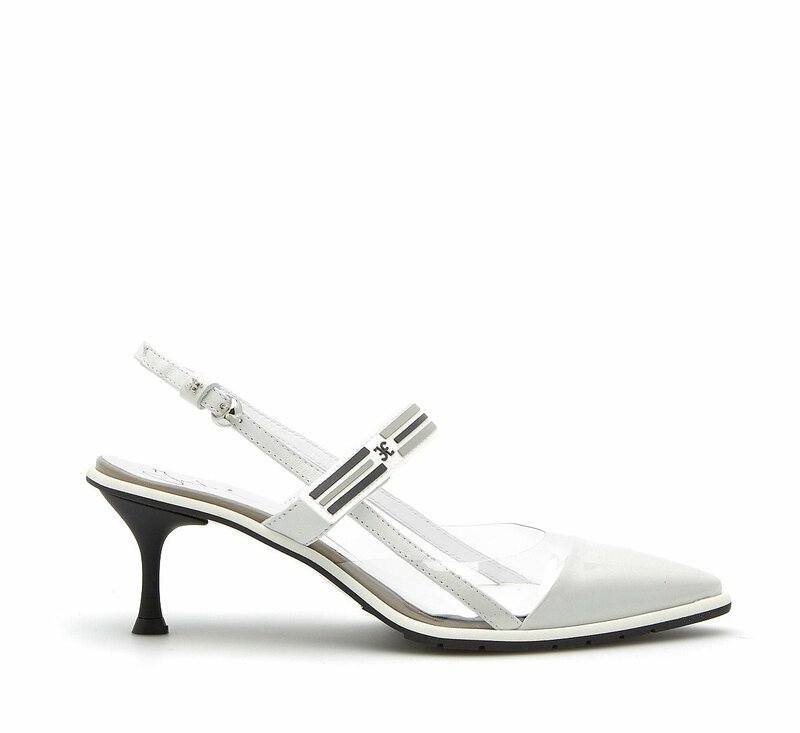 Fabi slingbacks in nappa with tapered toe and strap with rubberized details. The front is covered with an original and refined PVC film. Rubber sole and removable insole. Stiletto heel 60 mm high.